Bake potatoes for 1 Hour. 10 min after putting in the potatoes into the oven, place “Stuffed chicken wrapped with bacon” into the oven (I got this premade uncooked dish from Target). Cook them according to the package, 50 min., at 400 degrees. Bake patatoes for 1 hr. (Wrap them with foil paper before placing them into the oven). 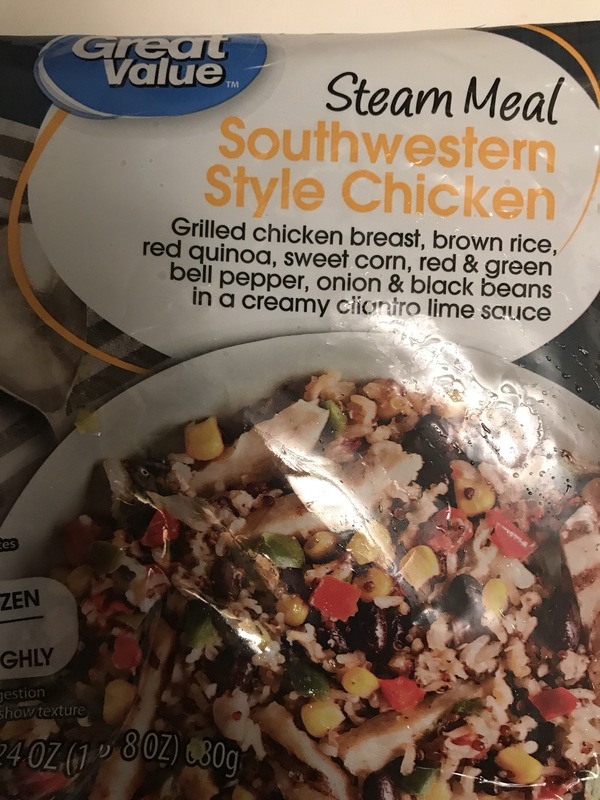 The Rice dish: use a bag of brown rice with southwestern style chicken and cook it accordingly. I think I got this in Walmart. This only takes about 12 min. Or you can replace it with other stir-fried rice you can get in the market. Place 1 and half table spoon butter or oil over medium high heat. Put in garlic when the the oil is hot. Then add carrots, asparagus and celeries in. Stirfry the veggies for about three to four minutes based on the way you like it. I like it a bit crispy. When it is about done, add some turmeric, pepper, salt, and paprika. Also add a little bit of venigar. 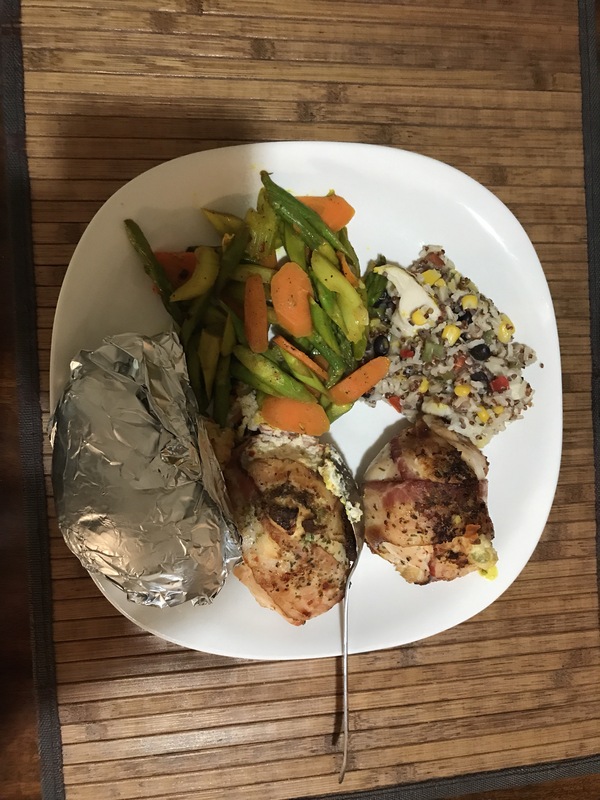 Enjoy the chicken, rice, veggies, and baked Patato. Very tasty! My two-cent advice: try not to use frozen veggies for the main vegetable course. They usually taste soggy. Fresh vegetables taste great when cooked with garlic. But frozen rice usually comes out okay and it is convenient to have them stored in the freezer for a quick meal with other main course.